What is Van Life? Or rather, what is #VanLife? 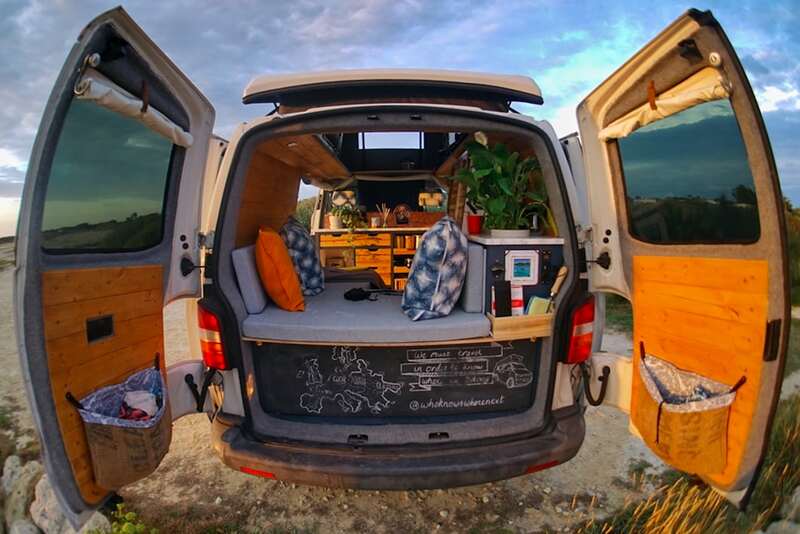 Some of the more ardent Instagram users will probably already know all about #VanLife. 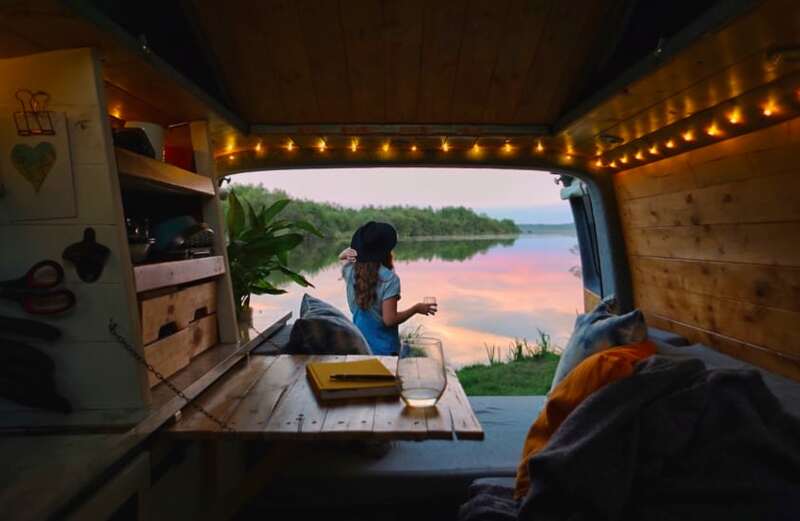 But for the not-so-social-media-aware, Van Life is a community of people – often slim, attractive, bohemian-looking, millennials – who document their nomadic journeys around the world, in converted vans, on Instagram. 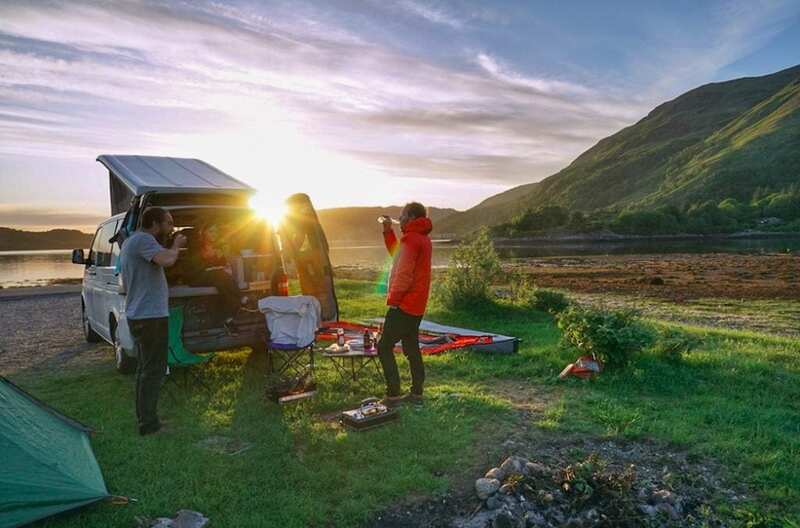 Search #VanLife on the photo-sharing media platform and you’ll find over 2.6 million posts – mainly of VW campers parked in front of eye-wateringly-beautiful sunsets, pristine mountains and sugary-white beaches. Plus the occasional shot of a sandy bottom. But where did it all begin? The #VanLife craze was started in 2011 by a young American, former Ralph Lauren designer, called Foster Huntington. The then 23-year-old, tall, quirky hipster from Oregon, began a photographic documentation of life in his 1987 Volkswagen Syncro in California. Using the hashtag #VanLife, a joking reference to Tupac’s famous ‘Thug Life’ tattoo, he created aspirational content that his followers, and other Instagram users, began to replicate. Since then, #VanLife has turned into a vast community of young travellers seeking freedom and solace on the road. There’s a Van Life magazine and several books dedicated to the modern-day nomadic tribe. 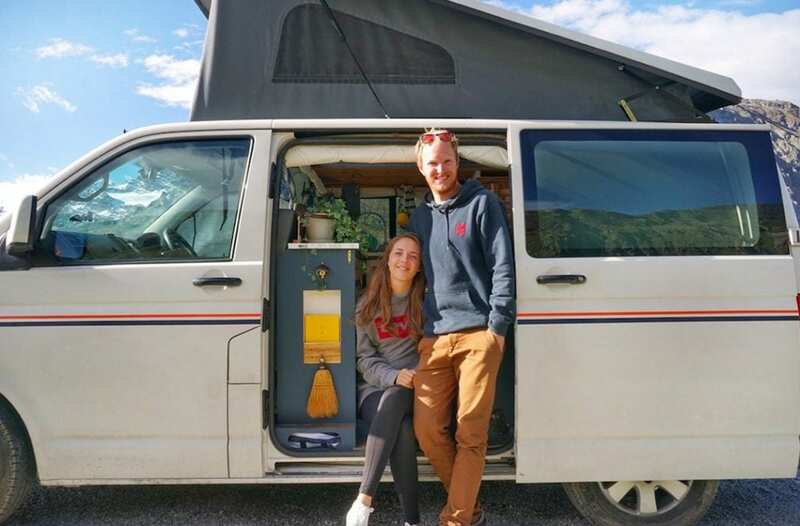 TLE recently caught up with a Van Lifers @whoknowswherenext – a British/ Australian couple who decided to pack their lives up and pursue the #VanLife dream. But did they choose the #VanLife, or did the #VanLife choose them? We are two product designers who met whilst working in Bristol. Hannah is from Aberdeen, Scotland, and Ollie from Melbourne, Australia. Coming from opposite sides of the world, travel quickly became a big part of our relationship. It was something that allowed us to show each other the parts of our continent that we both love. We thrive on new adventures, so after working hard all week, we’d try to get away somewhere new almost every weekend; with a tent or in Airbnbs. Eventually, we craved some longer-term and more sustainable travel. How did you end up living in a van? A lot of our friends had started buying houses and settling down, but somehow it just didn’t feel right for us. At this point, we craved excitement and change, not routine and stability. With Europe on our doorstep, the opportunity to explore it in more depth, over more time, became more and more tempting. As we wanted to see more of the outdoors and nature, rather than cities, travelling in a van became the obvious choice. 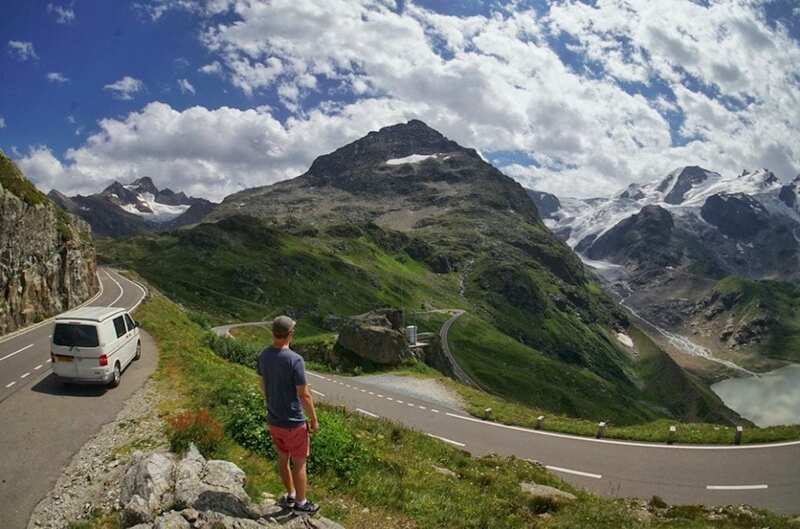 And why wouldn’t we want to tour around a continent with our own home on wheels!? Did it cost much to renovate your home on wheels? Not really, most people would probably be surprised at how little it cost to build. 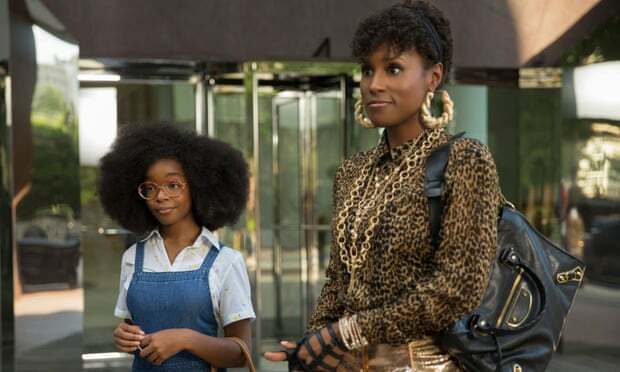 The trick is to be thrifty. We found plenty of the materials on the street, or in the bins at work, and designed the build to work for these recycled items. This meant certain aspects were essentially free while others were expensive. Our biggest expense was the pop-top at £2500. But the benefit of standing in the van transformed our use of the space, so it was totally worth it. For the rest of the materials, an expected spend might be about £2000, but you’ll go above or below this depending on how complex you go with things like gas, water, and electricity. Of course, your time is the biggest expense – it’s a huge project which shouldn’t be underestimated. We estimate we spent about 640 man hours (40 full-time days x two people) on it working outside, with many more evenings designing, planning, and sourcing. What do your friends and family make of your van? We get a lot of compliments on our van interior, both in person and on Instagram. People are usually amazed by how homely it feels and how much space and light there is. We worked hard to design our layout from scratch, without copying others or using plans, so its rewarding feedback. 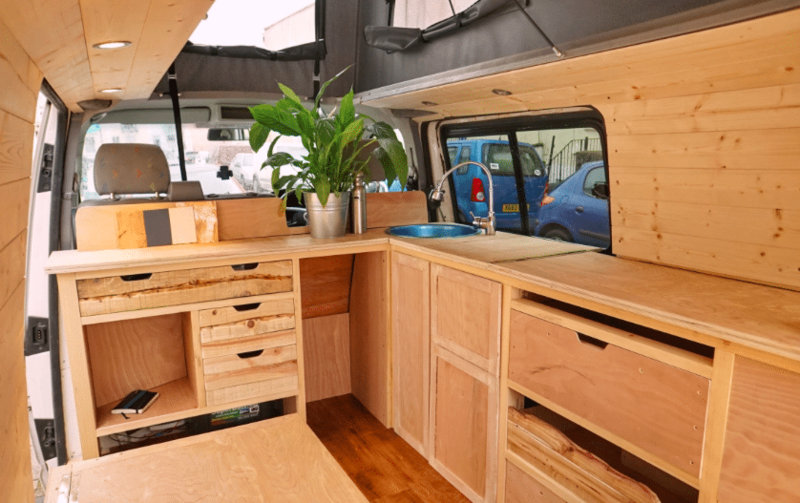 We wanted the van to have character and ambience, so we used recycled wood, printed our own fabrics, installed real plants and made sure we had mood lighting. Other people usually love these touches, setting our van apart from the standard plastic campervan fit-outs. What’s the best thing about Van Life? No one day is the same when we’re in the van, which is perfect for two people who thrive on change. Sometimes we wake up in below freezing temperatures in the mountains topped with snow, and sometimes we wake up drenched in sweat by the ocean under a strong sun. And the beauty of Europe is that sometimes those experiences are only 24 hours apart! We only decide where we’re going a few days in advance, sometimes on the day, depending on what we feel like doing; hiking, kayaking, wild swimming. We’ve got no ties, and it’s extremely liberating. We do of course have space constraints, which can mean tasks like cooking and getting ready require more patience and a little more time. What’s the worst thing about Van Life? Being in an Italian heatwave with no air conditioning was one of our toughest points, it meant driving and sleeping was incredibly difficult and we didn’t even want to be inside the van at all, we swam in the lakes until 10 pm to avoid it. In general, there are daily struggles when living in the van in a foreign country; sometimes it’s not finding a toilet when you need one, some nights not finding a place that feels safe to sleep, sometimes not understanding the toll roads or parking systems and getting a fine. These experiences are few and far between though, and you need the context of low points to make the highs even better. Is Van Life as glamorous as it looks? We had plenty of nights sleeping in car parks in built-up areas, with no views and the noise of traffic. But these stops were usually when we were on the way to somewhere stunning, so once we got to the destination it was all worth it. Over time, we got better at researching and choosing spots, and in some countries, it’s incredibly easy to have beautiful views every night, if you have the time to take detours. As for glamorous, we’re sure that most people who live in a van become less high-maintenance than before. You learn to live with way fewer showers, you wear the same clothes for days in a row, you have sand in your bed, and you learn not to care. 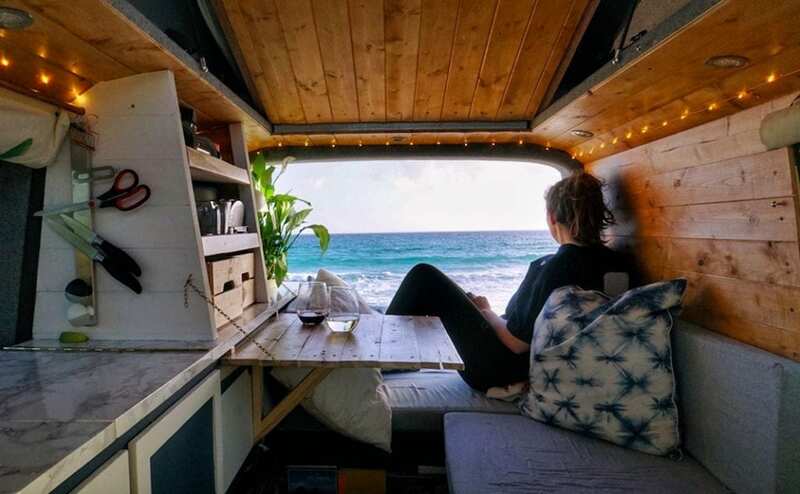 Where have you travelled in your van? We did a ‘starter trip’ of four weeks in Hannah’s homeland of Scotland, setting off in late May (before the midges got too intense!). We then meandered through England and across the channel to Europe, completing a three month trip through France, Italy, Slovenia, Croatia, Austria, Switzerland, Luxembourg and Belgium. We came back to the UK for one day but weren’t ready to stop travelling, so then we looped around Spain and Portugal until Christmas! Do you think you’ll move into a house anytime soon? At some point we’d love to build a tiny house or cabin in the countryside and live off the grid as much as possible. We don’t know when we’ll get to make this our reality, but we love to dream about it. How much do you spend on petrol? It all depended on the country, however, we roughly spend £70 and it takes us 600 miles. What is the Van Life community like? 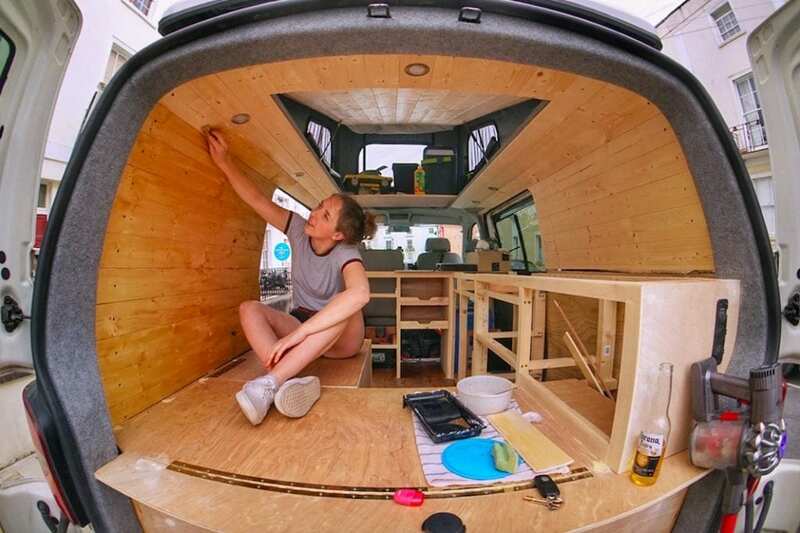 When we first set out designing and building the van, we could never have imagined how supportive the Van Life community would be! Through our Instagram account, we had dozens of locals from all over Europe’s, suggesting restaurants, walks, beaches etc. Pretty much anything worth doing, someone would recommend it, even down to local campsites! If something ever went wrong with the van or with our health, we would ask our followers and get instant replies, it really helped keep us going at certain points along the journey. We loved meeting other Van Lifers along the way, sharing stories and enjoying conversation around a campfire. The company is really valued because it can be difficult to be apart from your friends and family for so long. Where’s your next adventure going to be? We’re obviously not taking the direct route to Australia, so we’ll be travelling around Thailand and the Philippines on our way there, leaving in a few weeks. We’re pretty excited for some tropical weather and scenery, and to put on our backpacks again. It’ll be a different, more complicated form of travelling from the van, but we’re looking forward to the change. What would you say to anyone thinking about taking up Van Life? It’s definitely a lot of fun and an incredible experience, but not many people will photograph the low points, so make sure to manage your expectations too. They are the only thing that can leave you feeling disappointed, so be realistic. Previous PostJohannesburg: One City or Two?